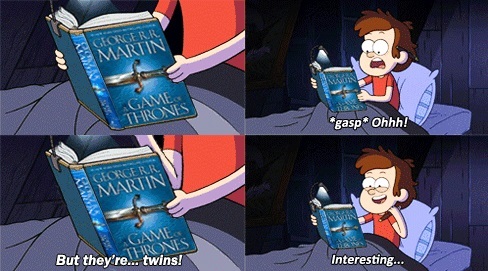 Gravity Falls funny. . Wallpaper and background images in the 디퍼와 메이블의 미스테리 모험 club tagged: photo gravity falls disney dipper and mabel pines funny pinecest pinescest game of thrones parody. This 디퍼와 메이블의 미스테리 모험 photo might contain 기호, 포스터, 텍스트, 칠판, 사인, and 서명.